Today's youth are the building blocks of our future! If kids aren't in school, they're not learning. 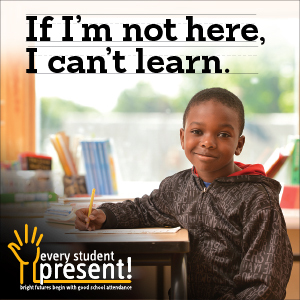 Click on the banner to review all of the resources that the "Every Student Present" campaign has to offer to keep our kids safe, healthy and in school.